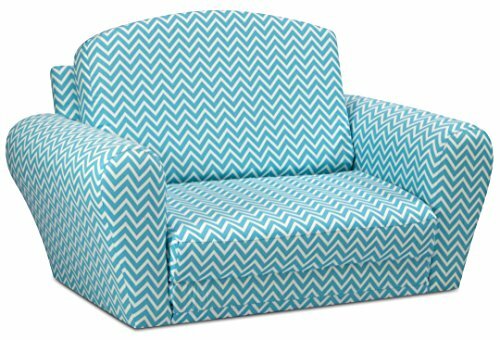 Kids Convertible Sleepover Chair Bed - Flip Out Lounger for Slumber Parties, Gaming, Chilling - Fun Childrens Furniture That Easily Converts To a Folding Cot - 2 Fabric Choices by Fun Future at Indsight. Hurry! Limited time offer. Offer valid only while supplies last. STYLISH & COMFORTABLE SEATING that easily converts to a sleeping bed. So great for sleepovers, playing video games or doing homework. FREE SHIPPING IS INCLUDED making this multi purpose furniture a great value and an easy purchase. GREAT GIFT IDEA! Whether as a present for your child or GRANDPARENTS, this chair equals Future Fun! CLEVER DESIGN & FABRIC CHOICES make decoration your child's bedroom or playroom a snap. FUSCHIA GARDEN and PINK ON PINK POLKA DOTS are two fresh fabrics that will add to the decor of any children's room.